This book is designed to help the student become a fine player while also providing how-to knowledge regarding drum care, drum tuning, plus stick and drum head selection. It will give him/her a sound musical background while providing for the highest degree of interest and motivation. There are 39 lessons; materials are combined at the end of each lesson in a logical and musical solo passage. There is also an entire drum solo at the end of each complete section which may be used for contest purposes. 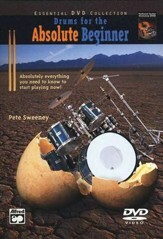 This book contains excellent sequential instruction covering rudimental studies, roll studies, contest solos, and bass drum and cymbal techniques. Vendor: Alfred Publishing Co., Inc. 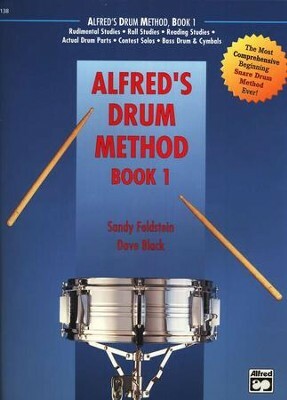 I'm the author/artist and I want to review Alfred's Drum Method Book 1.